Limpopo province is a northern province in South Africa known for its untamed nature and game reserves. For those looking for an experience that mixes the luxury of casinos and wilderness of South Africa, look no further than Limpopo casinos. Not only do they offer casino entertainment but great conference centres as well. Casinos on offer in this province are diverse and promise an exciting time. We look at the top Limpopo casinos. Meropa Casino, a part of the Sun International family, is one of the top casinos that you find in this province. The casino is Limpopo’s biggest casino resort boasting of 414 slot machines and 17 table games. Rumba Roulette is one of the table games that are on offer at the casino. The game can be played from Monday to Thursday only but the rest of the casino is open 24 hours every day. 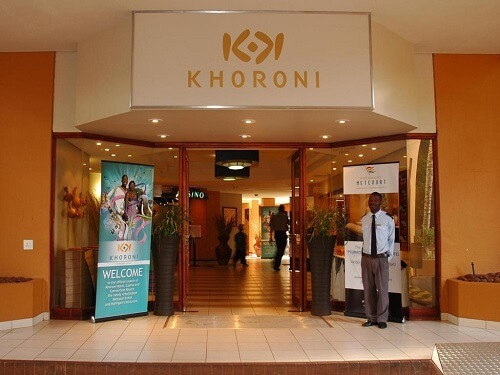 Khoroni Hotel casino is part of Peermont Resort group of casinos. It is part hotel, part casino, and part conference centre. There are many titles in the 150 video slots on offer and seven tables on which visitors can wager and win real money. Thaba Moshate Casino is also part of the highly respected Peermont Resort group. This is Limpopo’s newest casino. It was established in 2015 and it is more technologically advanced than most of the casinos in South Africa. The casino has a lot of winner circle promotions for players. There is also a VIP Salon Prive which is offered at this casino for high rollers. This casino has a total of 150 slots and seven tables. This is the best province to be if you on a business trip and also want to do your gambling. Although we have just mentioned a few above they are more casinos to visit.